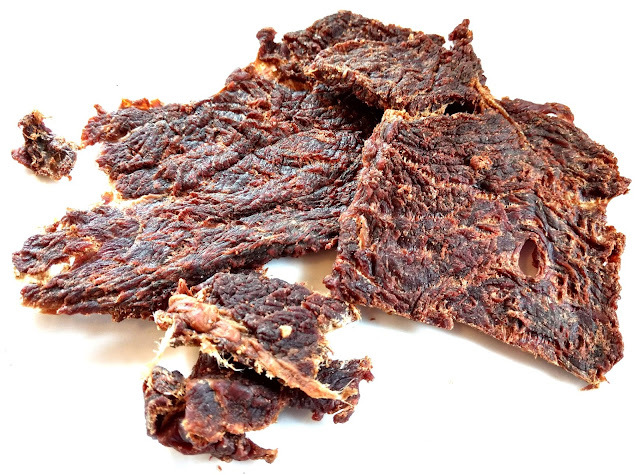 This "Teriyaki" is described by the company as, "Not Your Typical Teriyaki", going on to say that it's, "Hand Crafted Beef Jerky with only the finest ingredients, No sugars added No Msg, No Nitrates, Perfect for Keto diets". The first flavors to come on is a soy sauce followed by a touch of sweet. The salt increases and ushers in some garlic. The chewing brings on the worcestershire, and eventually the natural meat flavors. For being marketed as, "Teriyaki", this doesn't quite give out the traditional Japanese style teriyaki in that it doesn't have the thick sweet, and doesn't really offer any ginger or other pungent seasoning to help contrast the sweet. The teriyaki also doesn't give out that fermented character that the Japanese style usually imparts from sake or mirin wine. On the other hand, the company stated that this is, "not your typical teriyaki", and it seems rightly so. Certainly the lighter sweet is more suited for Keto diets, as their description suggests, perhaps justifying the idea that this is a lower-carb alternative to traditional teriyaki. Otherwise, the primary taste profile is a lightly sweetened combination of soy sauce and worcestershire, with a bit of garlic, over the natural flavor of beef. The meat consistency is largely dry, and a little extra chewy. I noted a fair amount of stringiness in this review sample, and even a piece with a substantial amount of gristle, though it could be an aberration with this batch. 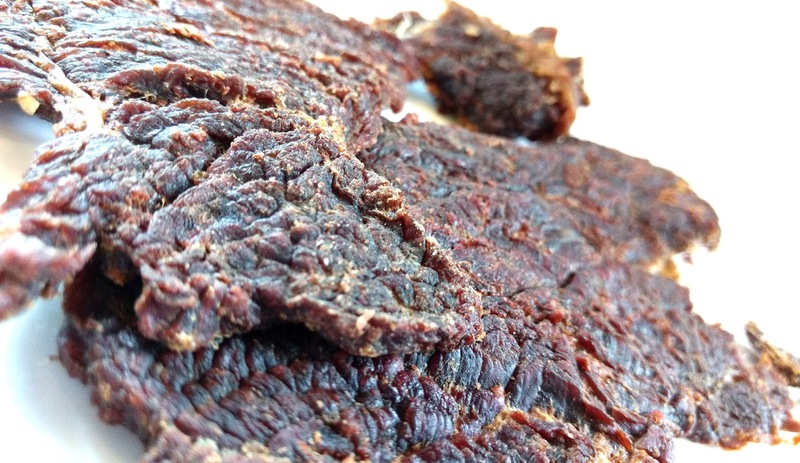 Overall, it has a meaty, steak-like chewing texture. 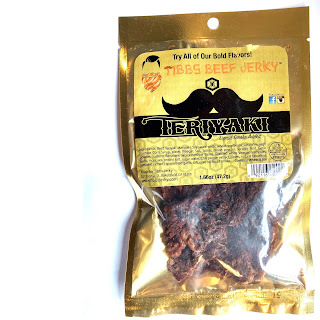 This Teriyaki style from Tibbs Beef Jerky doesn't meet the typical expectations that come with traditional teriyaki, but then again the company already stated that this is not a typical teriyaki jerky. Claiming that it's perfect for Keto diets, certainly the light sweetness is better suited for ketosis-inducing weight loss enthusiasts, and as such perhaps this is a teriyaki targeted for the low-carb crowd. 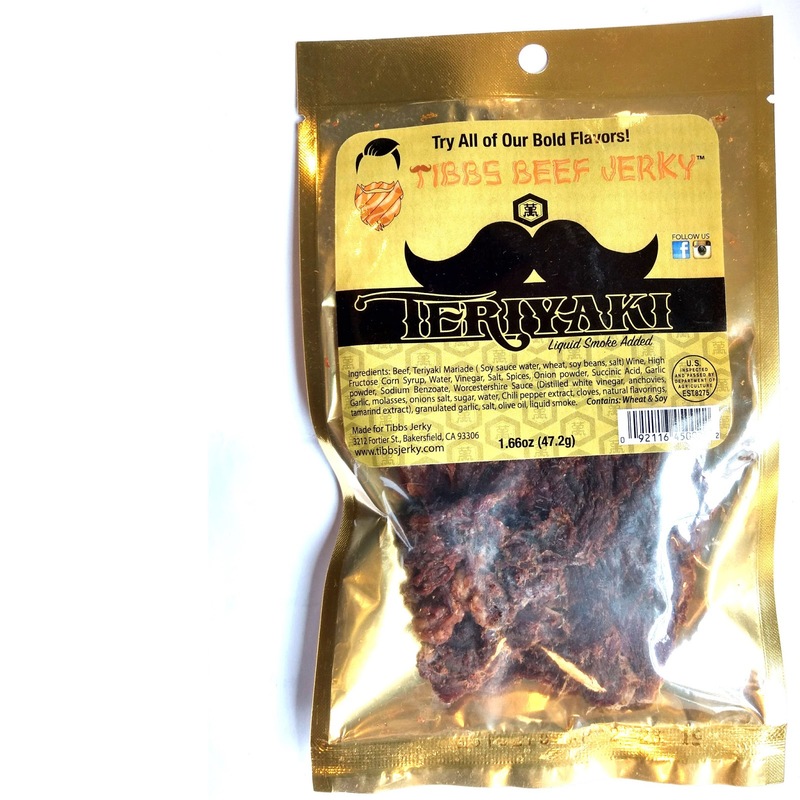 But for the remaining fans of sticky-sweet Japanese-style barbecue sauces, this jerky won't give you what you're craving for. Yet on its own merits, it's still a well-balanced jerky between savory sauces and seasonings, and still offers a meaty, steak-like chewing.